Autobiography never was. But the lambent trace persists like oceanic patterns. 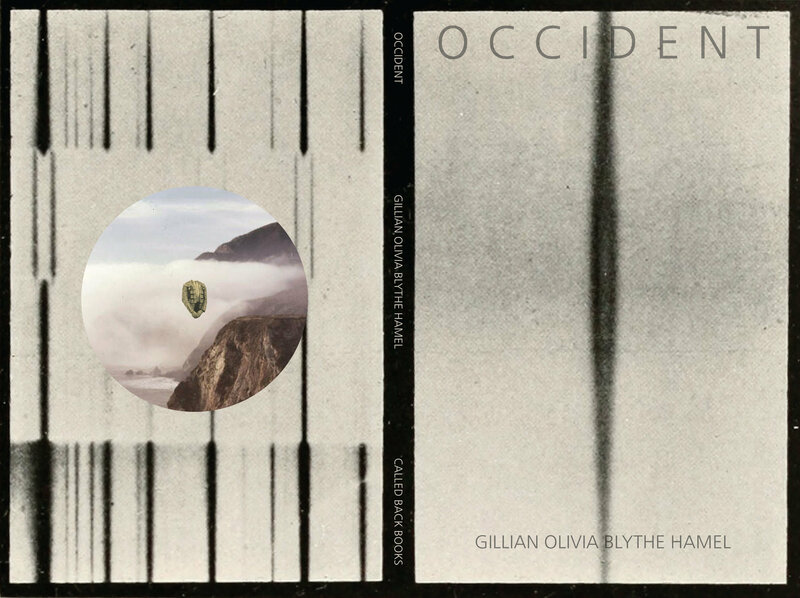 And leaping from that insistent message is Gillian Olivia Blythe Hamel’s debut book of poems: occident. At once relational and autonomous—dogmatic and questioning—spatial and narrow. As much critique, as it is absolute lyric, as it is play and dream. With Blanchotian force, Hamel leads us down vertiginous pathways and the result is often overwhelmingly self-critical, yet exactly formed by an eccentric reason and steady fascinations. over and over. I do not say your name aloud."